Large beautifully illuminated floats parade through town on a summer night. 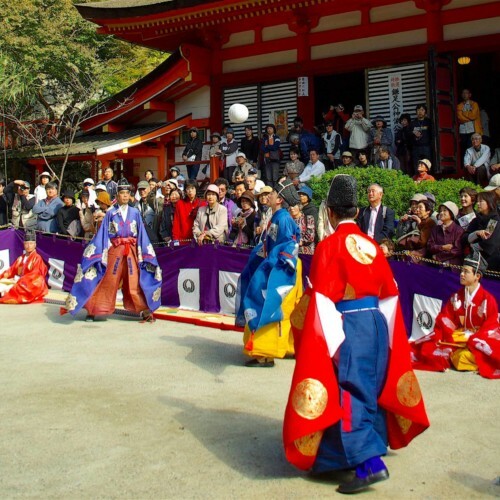 Dance and bounce with the exciting “Nebuta”! The Nebuta Matsuri is one of the largest among the many festivals in Japan. 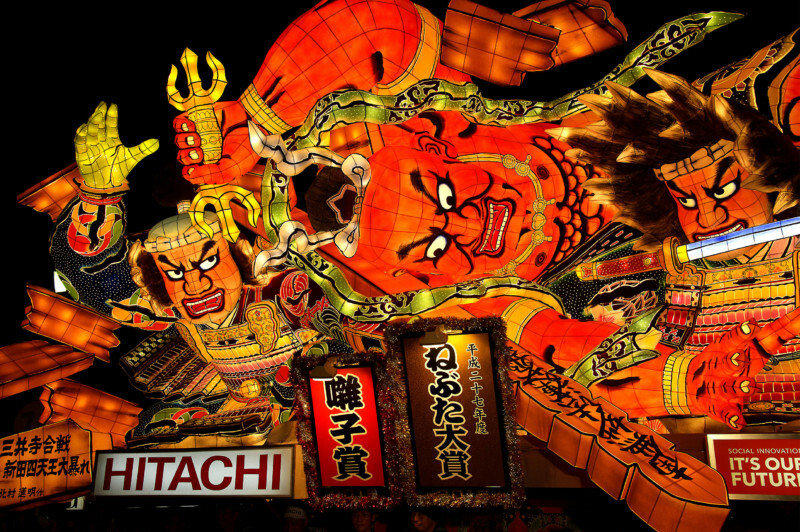 Large illuminated floats of glowing figures—Nebuta—parade through town, and are newly crafted each year based on themes such as well-known kabuki scenes, historical moments or mythologies. Their dimensions reach up to 9m in width, 7m in depth and 5m in height. The profound sights of these massive Nebuta are in the realms of fine light-art. 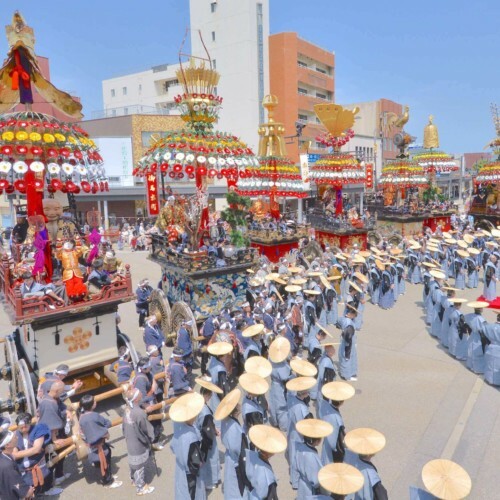 The parade is carried out by “Sensu-mochi” who directs the float’s exciting motions using a flute and a fan, Hiki-te who pulls the Nebuta (weighing close to 4t) according to the Sensu-mochi, the Hayashi-kata who are the ensemble carrying taiko-drums, flutes and hand-bells, and Haneto who jump around and dance shouting “rasse, rasse!” in sync with the rhythms of the Hayashi-kata. The Nebuta and the people become one in this breathtaking frenzy. 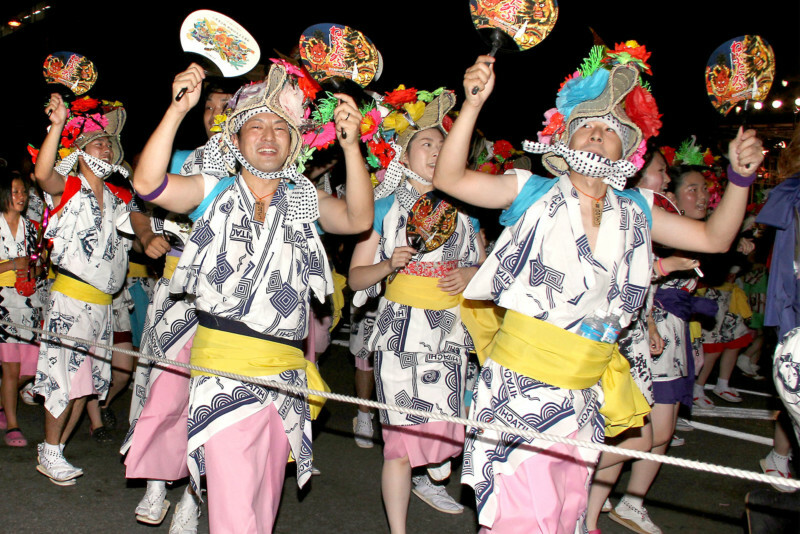 It surely is Aomori’s most famous summer night tradition. 1. Leap into the night as a Haneto! In front of the parading Nebuta are dancers known as Haneto. In addition to watching them, you are also allowed to participate as one. Raise your voices and dance through town! There’s no need for registration, although you must buy or rent the formal Nebuta attire. Also, it is said to bring good luck if you find a bell on the ground that fell from a Haneto’s costume. Prizes are handed to the best Nebutas, judged by design, music & chanting, parade performance and the Haneto’s dancing. 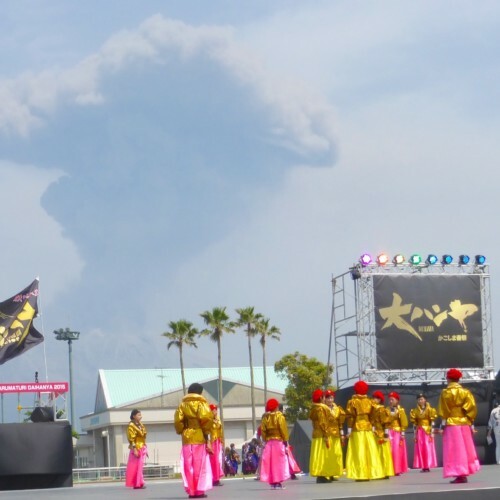 The Nebuta Grand Prize is given to the group with the most fantastically built float, best parade performance, and the outstanding unity of the members’ moves and rhythm. 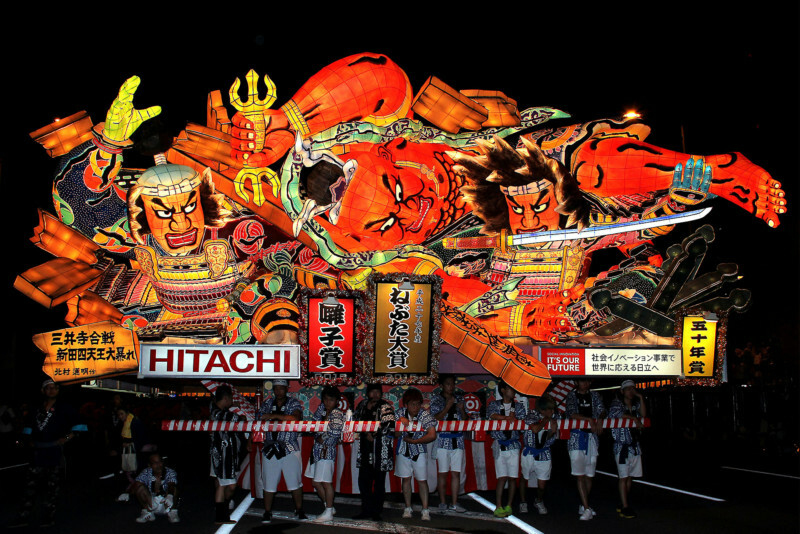 The recipient of the prize is announced on the 6th, and the winner Nebuta goes on a showcase parade. 3. 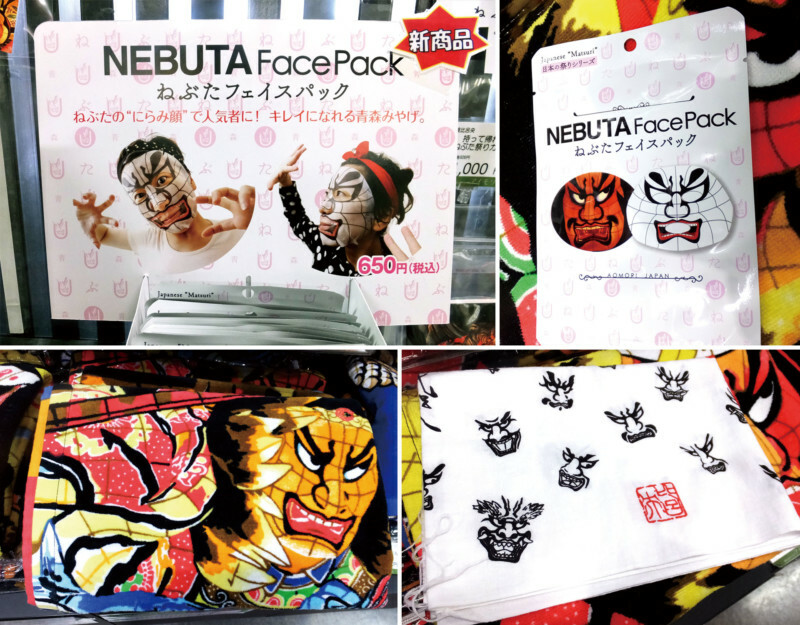 Don’t miss the great variety of Nebuta related souvenirs! There’s such a variety to souvenirs from the Nebuta Matsuri! Even the standard types of items such as T-shirts and handkerchiefs come in many stylish designs. The vigorous Nebuta have been modified to become many products such as Nebuta face packs, Nebuta briefs, and microfiber towels. Let’s see what souvenirs you can find! 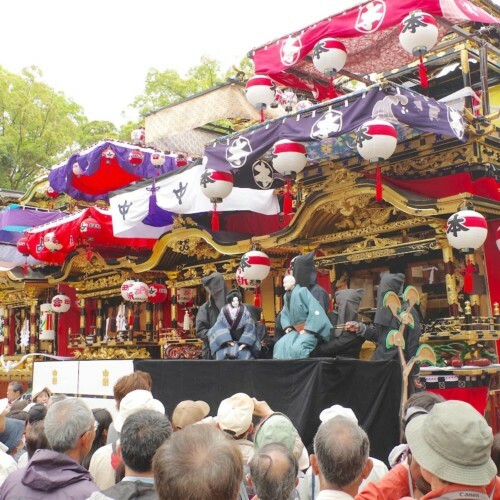 The festival is held annually from August 2nd to the 7th. The Aomori City Tourism Information Exchange Center in front of Aomori station increase their multi-lingual staff during the festival, and has pamphlets in multiple languages. Restrooms Temporary toilets are set up along the parade course. Please e-mail us, for we cannot answer phone calls in another language. Tourists are allowed to join the parade as Haneto. The full Haneto outfits are available at department stores in the city for rent (approx. ￥4,000) or purchase (approx. 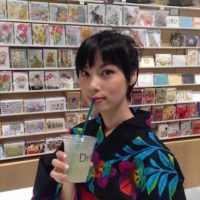 ￥10,000). 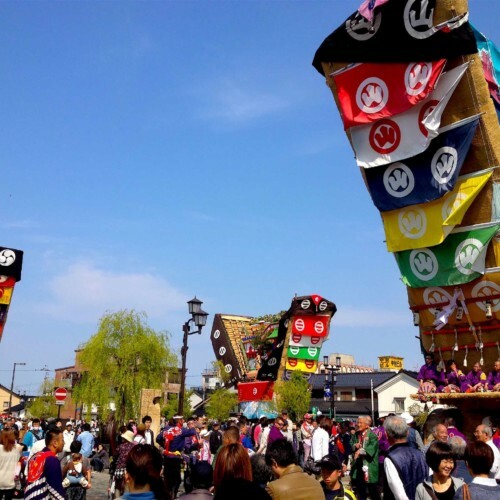 You must join the line of Hanetos in front of the awaiting Nebuta, 30min before its parade begins.